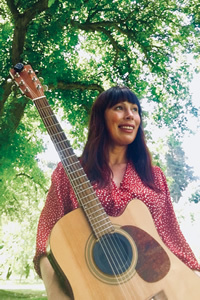 Millys' endearing musical style, dulcet vocals and rhythm guitar, creates an uplifting intimate atmosphere as she performs unique renditions of contemporary songs. 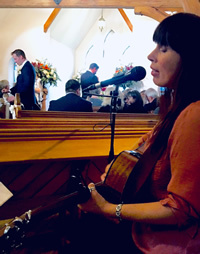 With special attention paid to the details of every ceremony Millys heartfelt performance of selected songs and sensitivity to the ambience make her an ideal choice to complement your celebration. Continue on with an easy listening accompaniment during canapes, Millys music provides an inviting warm tone for guests of all ages and backgrounds to enjoy while socializing. 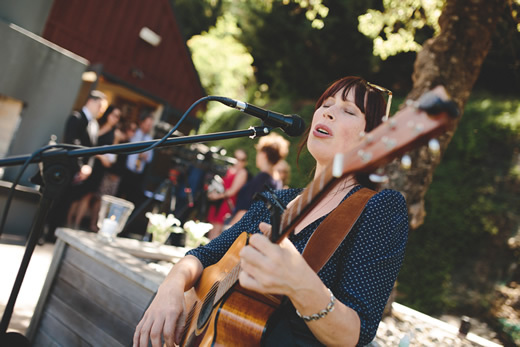 With a portable, battery powered, sound system Milly can perform for your ceremony and/or canapes literally anywhere; from intimate indoor venues to sun drenched courtyards, flower gardens, lakeside locations and even atop mountains as a unique touch during a Heli Wedding. Queenstown based, Milly travels to venues within Otago & Southland. Visit Millys website for more songs.. 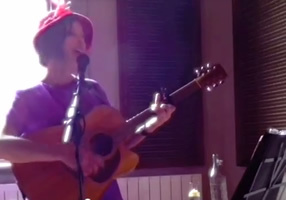 Contact Milly directly about including her live acoustic music into your celebration.